The Program Committee of the 33rd Annual Conference of the Association for Israel Studies invites scholars conducting research on any aspect of Israel Studies to submit proposals for organized panels and individual papers. Of particular interest are proposals relating to the conference theme: A Century After Balfour: Vision and Reality. A century after the Balfour Declaration we wish to revisit the possibilities and ideas reflected in this seminal document in the context of present realities. This centenary provides a lens for scholars to examine topics such as Israel’s attitudes towards imperialism and world powers, Israel in the context of the Middle East, relations between Diaspora Jews and the Zionist movement and the State of Israel, the meaning of a Jewish homeland, the imperative to secure the civil and religious rights of non-Jewish communities, and the role of international institutions in implementing the Declaration. These and other issues invite research and scholarship by the multiple disciplines that constitute the humanities and the social and political sciences. Panel submissions and individual papers should be submitted using the online submission form. Panel proposals should include information on the panel theme and on each individual paper. Proposals should not exceed 750 words. We encourage cohesive panel submissions. Individual paper proposals should not exceed 250 words. All presenters will be required to register for the conference and be current AIS members in order to present and be listed on the conference program. Registration can be done directly at the AIS website. Graduate students who have completed their course work are encouraged to submit their proposal and should provide the email of their advisor for approval. Graduate students who wish to apply for travel grants should send a request along with a copy of their proposal and a letter from their advisor. PhD holders without university travel support should send an abstract of the proposed paper and a current CV. The travel grant application deadline is January 15, 2017. Gordinsky, Natasha. In Three Landscapes. Lea Goldberg’s Early Writings. Jerusalem: Magnes, 2016 (in Hebrew). Merin, Tamar. Spoiling the Stories. The Rise of Israeli Women’s Fiction. Evanston: Northwestern University Press, 2016. Tsal, Naama. They Spoke in Their Tongue. The Poetics of Yehoshua Kenaz. Jerusalem: Magnes, 2016 (in Hebrew). Agnon’s Stories of the Land of Israel: Celebrating the 50th Anniversary of S. Y. Agnon’s Nobel Prize. 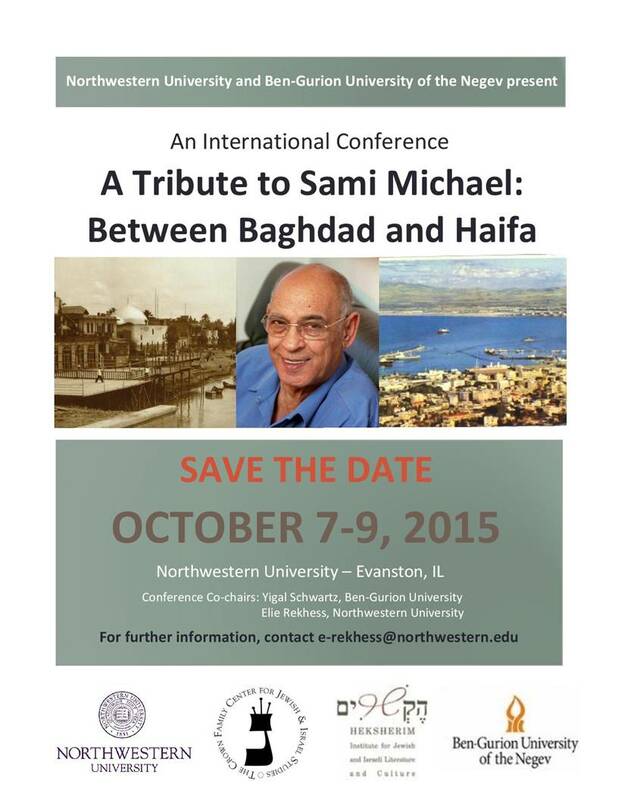 Monday, October 31, 2016, Yeshiva University Center for Israel Studies. Keynote speaker Ethan Bronner, senior editor at Bloomberg News and former Jerusalem bureau chief at The New York Times, will deliver the inaugural Ilan Troen Lecture on Contemporary Israel Affairs. 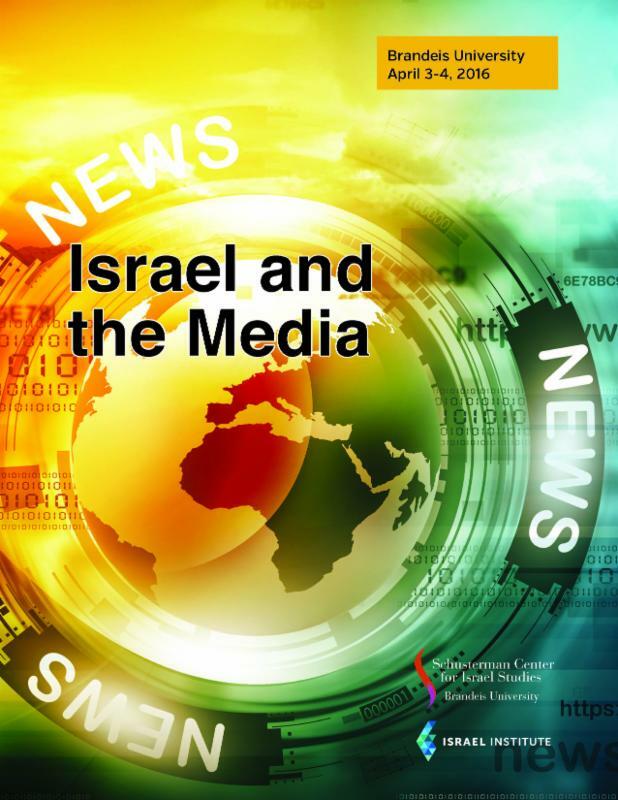 The program includes a roundtable discussion with leading journalists and panels on “The Changing Landscape of the Media,” “Israeli Media and Portrayal of the Conflict,” and “Coverage of Israel by Jewish Newspapers.” Click here for Program and registration. 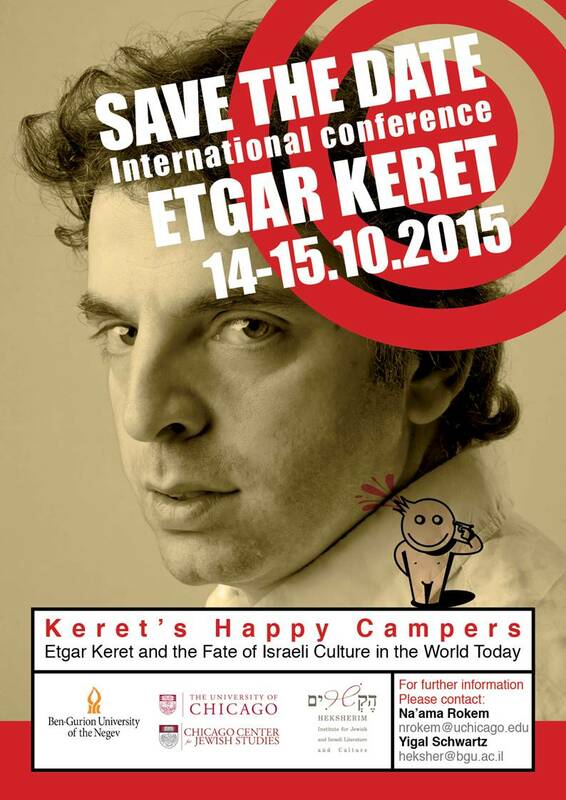 Cosponsored by the Israel Institute. The Call for Papers for the 48th Annual Conference of the Association for Jewish Studies is now available online. The online proposal submission site will be open for submissions beginning March 15, 2016; the deadline for submissions is May 5, 2016 at 5:00 pm EST. The conference will take place December 18 – 20, 2016 at the Hilton San Diego Bayfront Hotel in San Diego, California. You will find detailed information about the conference on the AJS website, including a page to share ideas about sessions seeking participants and papers seeking sessions, as well as suggested themes for each subject-area division. AJS is committed to supporting wide participation in the conference and is offering, for the first time, special reduced registration rates for unemployed and retired members. We are also raising funds for our Conference Travel Grant Program and will post updates about travel grant opportunities in the coming months. If you wish to contribute to the AJS Conference Travel Grant Fund, please click here. Pending sufficient demand, AJS will arrange for onsite childcare at the Hilton San Diego Bayfront Hotel, to be provided by a conference childcare company. Please email conference@ajs.cjh.org by May 5, 2016. If you wish to make a donation to the AJS Conference Childcare Fund, please click here. Please do not hesitate to contact the AJS office (conference@ajs.cjh.org or 917.606.8249) if you have any questions regarding the submission process. We look forward to seeing you in San Diego! The young scholars’ workshop focuses on the relationship between the State of Israel and Jewish communities worldwide. This relationship is often conceptualized in ideologically charged terms. “Diaspora,” the term most frequently used for Jewish communities outside of Israel, describes these relations in terms of “center” and “periphery” and is filled with negative connotations going back to religious traditions of spiritual diminishment and exile. But beyond messianic utopias, the actual state plays a great variety of different roles among Jews and their communities. Since its creation in 1948, Israel has shaped and formed the perceptions and self-perceptions of Jews around the world. What is more, these communities influence and shape Israeli culture, society and politics. Migration in both directions is a key element of these relations as migrants serve as agents of transcultural exchange and considerably help shaping mutual perceptions. These complex and multilayered relations and their representations are at the center of the workshop. The workshop offers young scholars from Europe in the field of Israel Studies a forum to discuss their work with their peers and senior scholars alike. Scholars on the doctoral and post-doctoral level (within three years after completing their Ph.D.) can expand their networks and help to foster a vivid academic community of Israel Studies in Europe. The workshop is supported by the Israel Institute and will take place at the Center for Advanced Studies / LMU Munich, Mai 23-25, 2016 under the direction of Michael Brenner (LMU Munich), Daniel Mahla (LMU Munich) and Johannes Becke (Center for Jewish Studies Heidelberg). Featured speakers include Derek Penslar (Oxford/Toronto) and Michael Berkowitz (UCL London). To apply please send in an abstract of up to 300 words about the proposed paper and a CV until January 18, 2016 to: daniel.mahla@lrz.uni-muenchen.de.  Post-humanism: Jewish law on bionic body parts, synthetic biology, technologically mediated sensations (cameras, loud speakers, virtual reality), and futuristic science.  Identity: the effect of biology and virtual reality.  Science education: the effects of evolutionism, archeology, Biblical studies, etc.  Autonomy: free will vs. determinism in light of neuroscience and artificial intelligence.  Social media and virtual/new communities, novel forms of communication and texts.  Information Technologies: the effect of information retrieval systems etc. Questions and fields can be combined. For example, one may ask whether causality in Jewish Law (grama and grami in religious law, torts and criminal law) has changed due to conceptual changes in physics, technological developments and/or new research in the social sciences. The committee will consider full-panel proposals for thematic sessions. Please summarize the session’s rationale, the proposals of the participants, and information about the organizer. Off-topic proposals will be considered too and their presentation will be integrated in the conference program. Proposals, including a short CV, should be up to one page. Send to JLAconference2016@gmail.com, by January 15st, 2016. Decisions by Feb. 15th, 2016. 500 West 185th St, New York. Mrs. Dalia Rabin, Chair, Yitzhak Rabin Center, Tel Aviv. The Yitzhak Rabin Center, Tel Aviv. The 2016 NAPH Conference on Hebrew Language, Literature and Culture will be held at Brown University, in Providence, Rhode Island on June 21-23, 2016. Members who are interested in organizing thematic panels, a seminar, or a colloquium and/or in presenting an individual paper or conducting a workshop are now invited to submit their proposals to the Conference Committee. The deadline for submitting proposals for organized panels or individual papers is December 15, 2015. 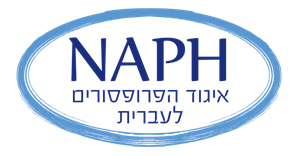 For a description of the conference and submission instructions in English, click HERE or visit our website http://naphhebrew.org and navigate to the “Upcoming Conference” page; for a description and instructions in Hebrew click HERE. Located in historic Providence, Rhode Island, Brown University was founded in 1764 and is the seventh-oldest college in the United States. Providence is a compact, thriving American capital city that neatly cross-stiches the fabric of New England history with a vibrant dining palate and edgy arts, music and cultural scenes. It is about 50 miles from Boston (1 hour by car, train and bus), and about 180 miles from NYC (about 3 ½ hours by car, train and bus). The conference was organized in cooperation with the Dahan Center and aided by a grant from the office of the vice president for research, Bar-Ilan University.